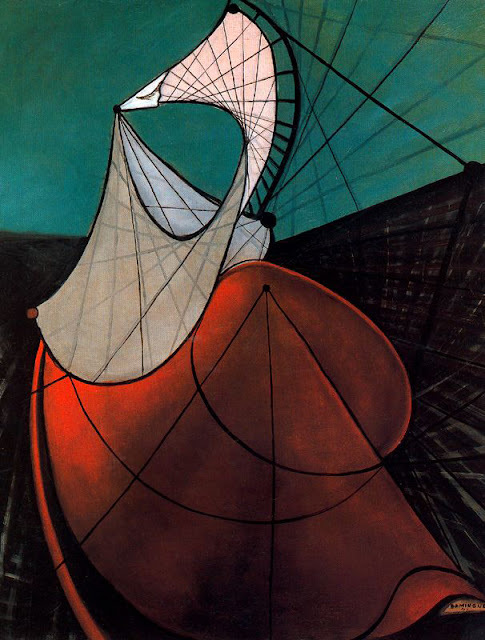 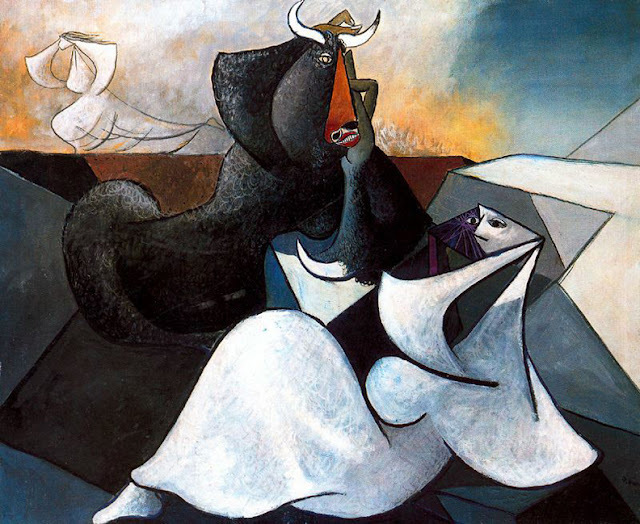 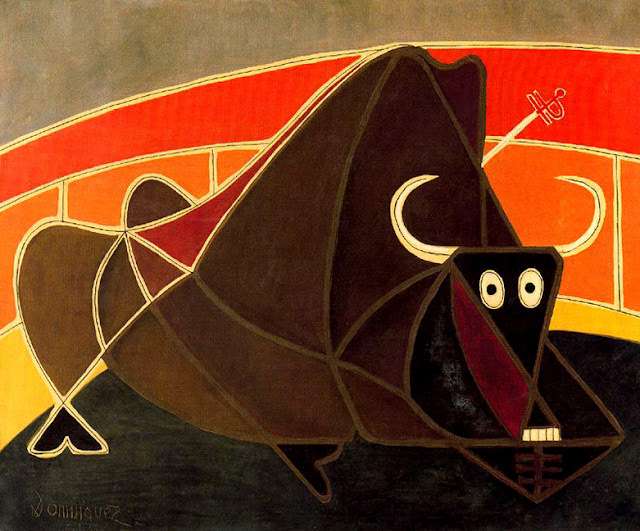 Óscar Domínguez (1906-1957) was a Spanish Surrealist painter whose works were inspired by Yves Tanguy, De Chirico and Picasso. 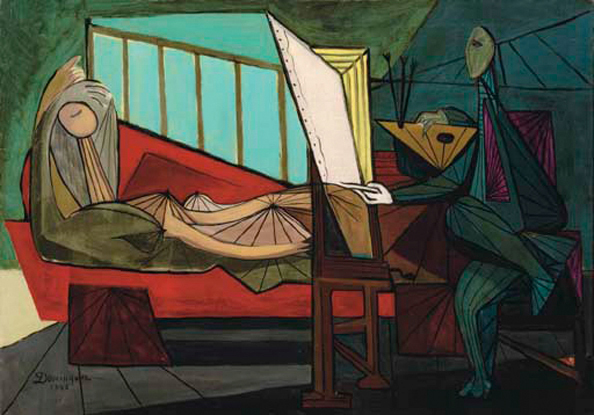 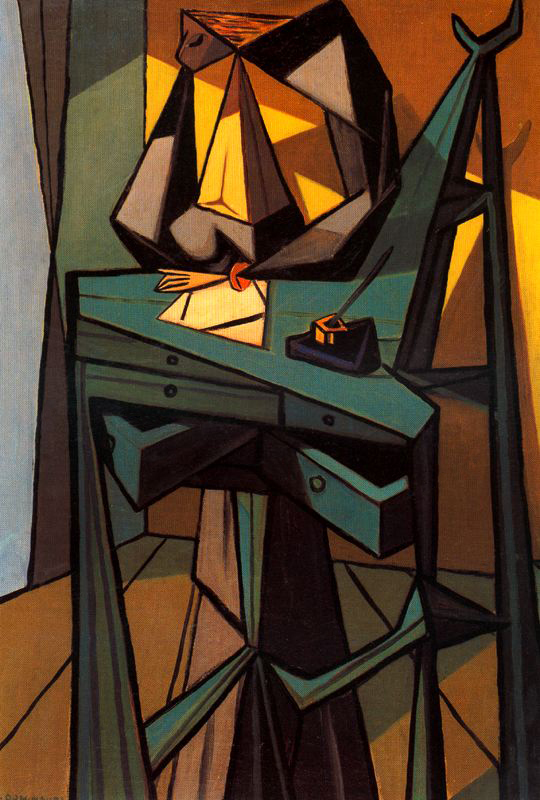 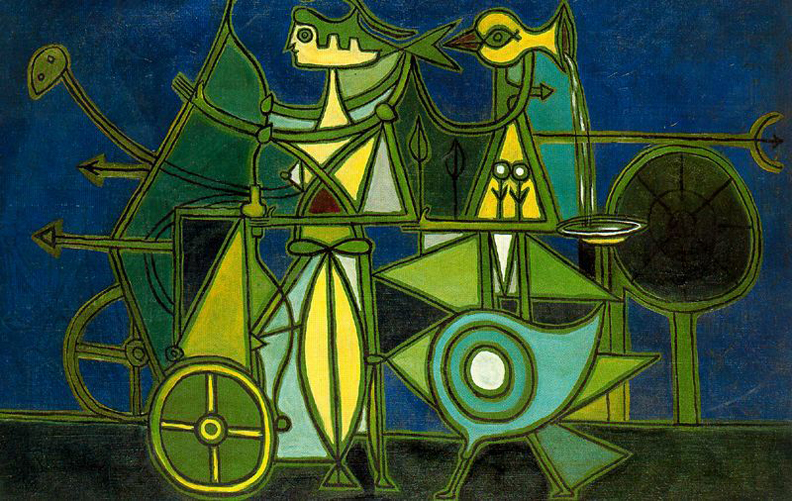 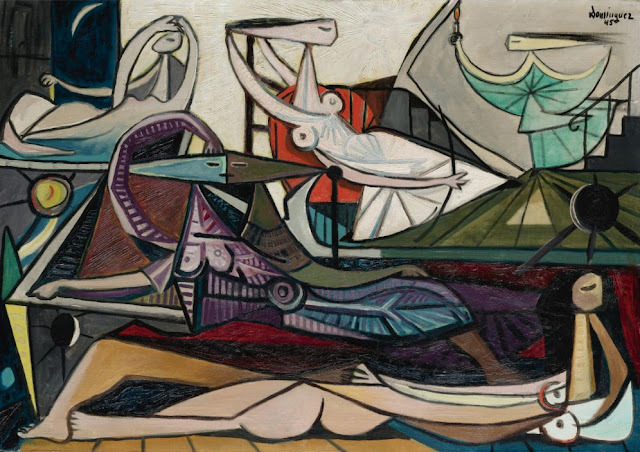 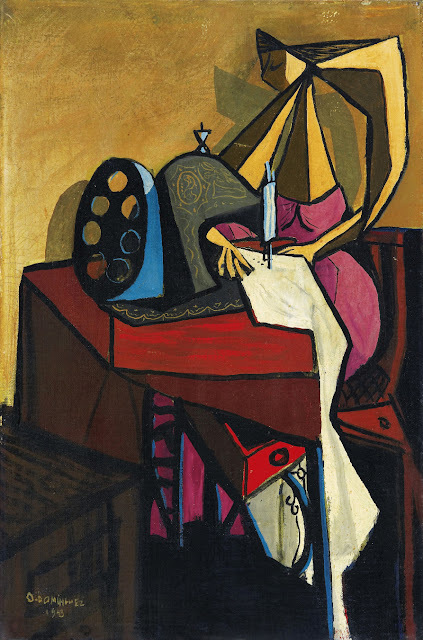 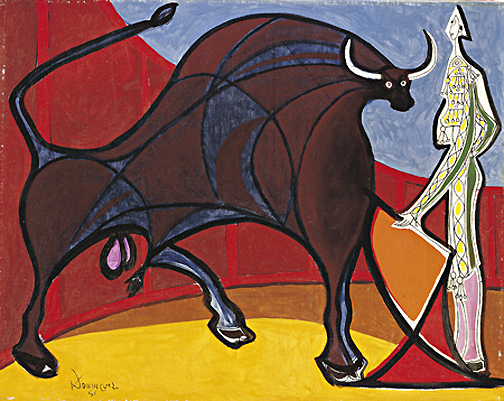 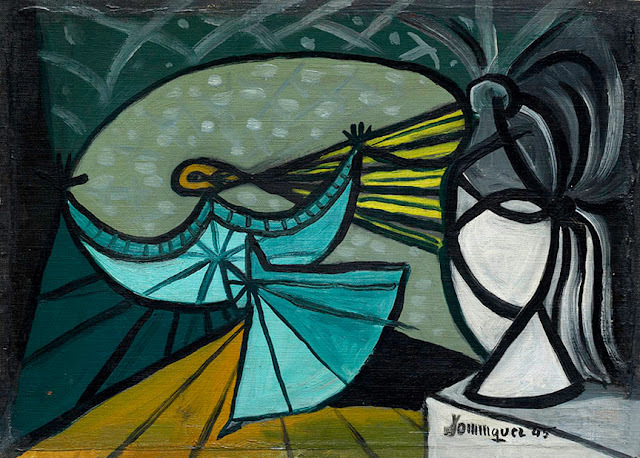 During the 1940's, his paintings were strongly influenced by Picasso with whom he had become friends while living in Paris. 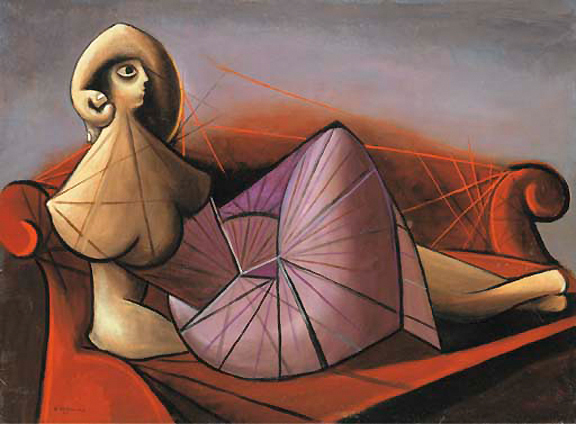 His works created during this Picassian period are my favorite. 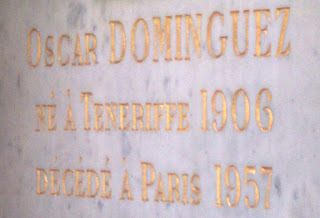 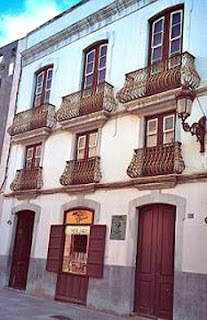 Óscar Domínguez was born in 1906 on Tenerife, one of the Canary Islands. He was a self-taught artist who devoted himself to painting at a young age after suffering a serious illness which caused a progressive deformation of his face and limbs. 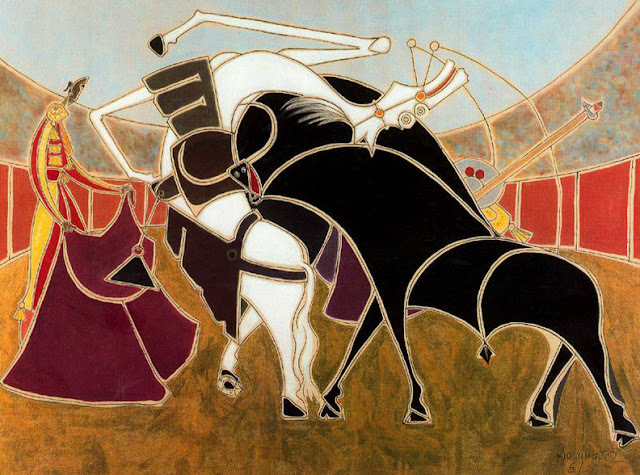 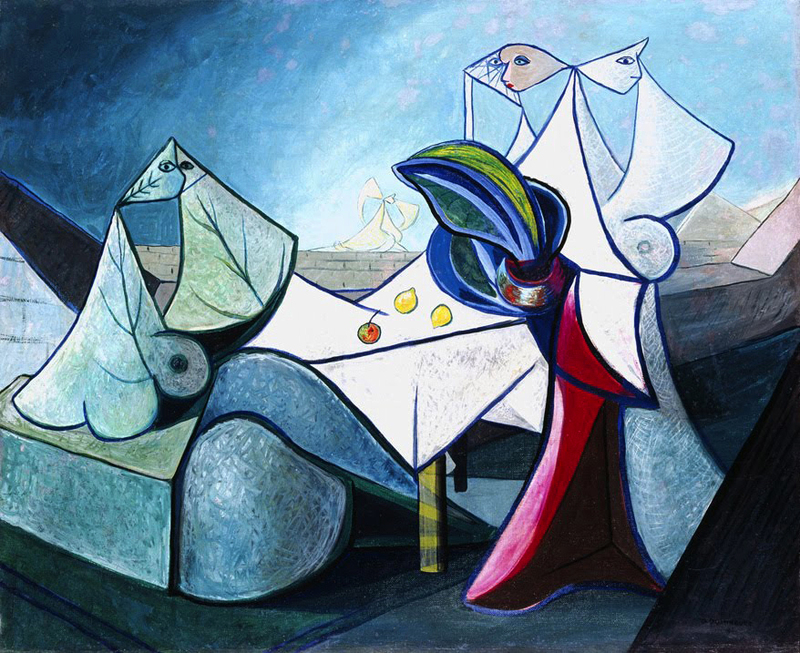 His earliest paintings were primarily landscapes, but after moving to Paris in 1927 he became enamored with the works of Dali, Tanguy and Picasso. 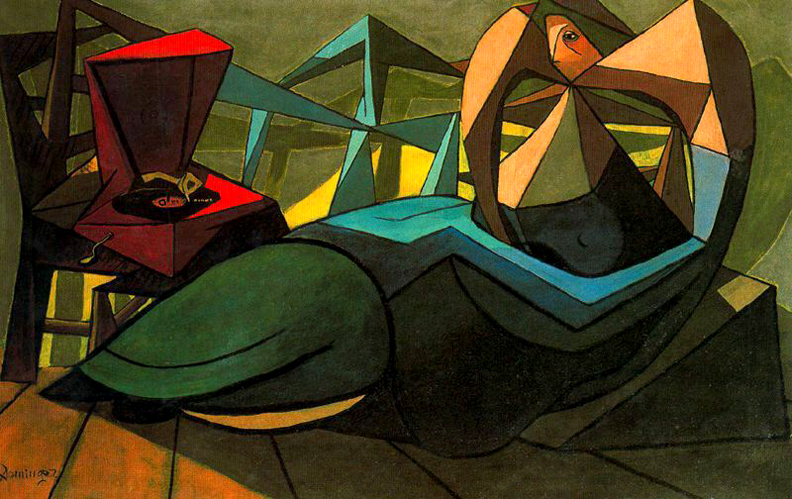 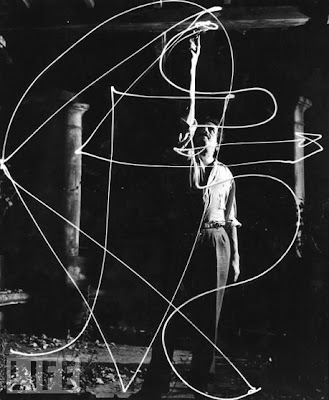 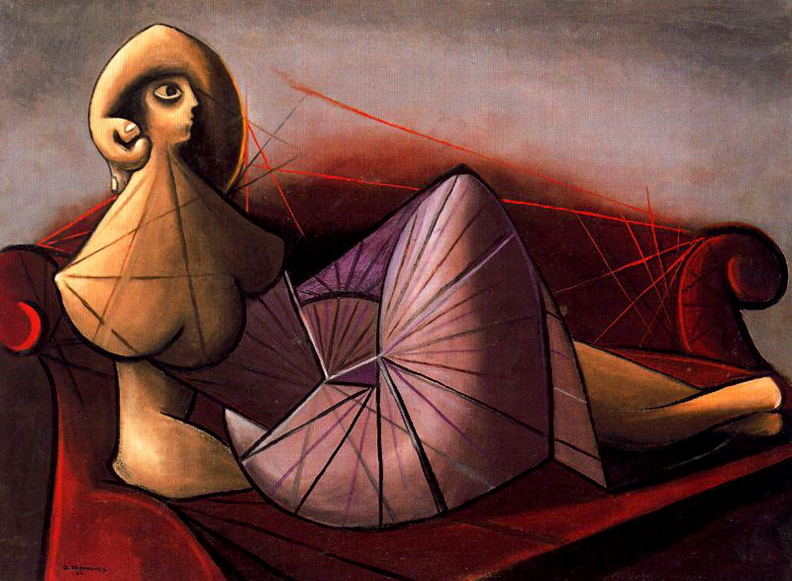 During the 1930's he became a member of André Bretón's Surrealist group and took part in many Surrealist shows. 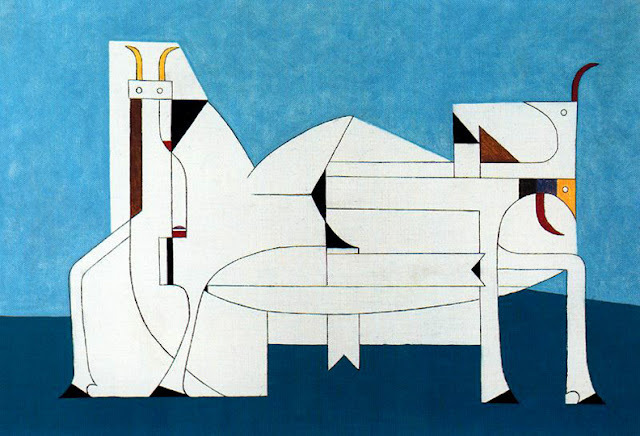 In the 1940's his paintings were heavily influenced by the works of De Chirico and Picasso; it has even been said that his paintings during this period were simply pastiches. 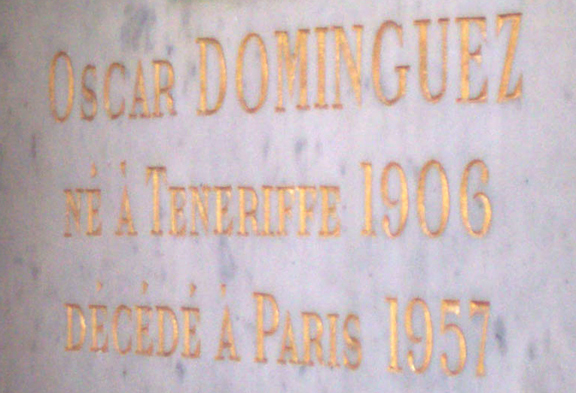 Sadly, Óscar Domínguez committed suicide on New Year's Eve 1957 by slitting his wrists in the bath. Patron of the arts, Marie-Laure de Noailles, with whom Domínguez had an affair with a few years earlier, arranged to have him interred in the Bischoffsheim family mausoleum in Montparnasse Cemetery. 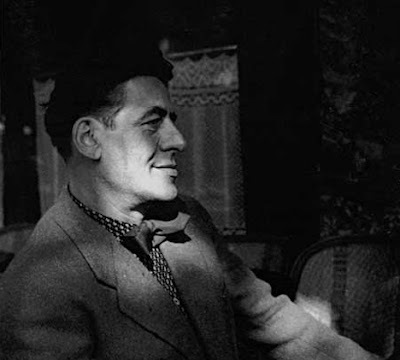 Óscar Domínguez in 1956, the same year he committed suicide. 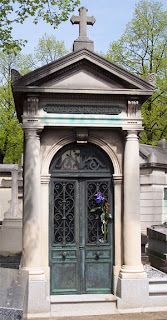 Above Right: Bischoffsheim mausoleum in Montparnasse Cemetery where Domínguez is interred.